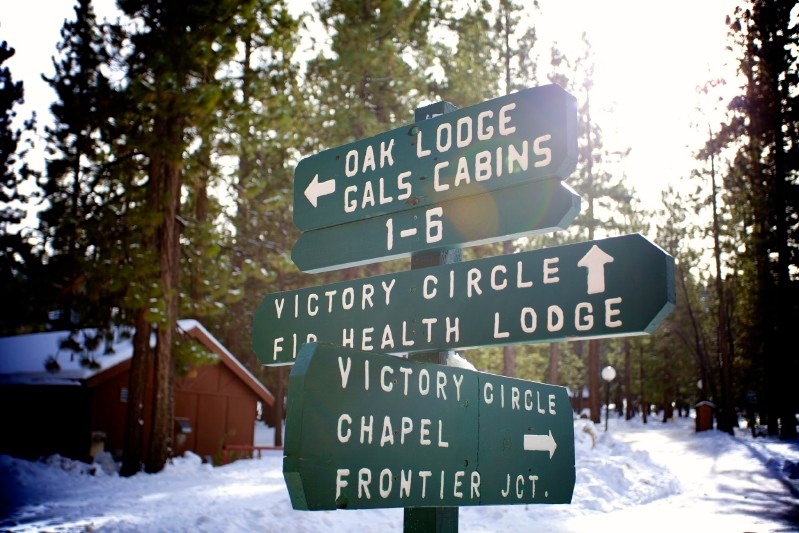 Each year, the English ministries of the southern California Evangelical Formosan Churches host a retreat at Pine Summit Christian Camps for four days and three nights over the Christmas break. Come worship, fellowship, and grow! You’ll meet many people from other EFC churches! Small groups for junior high and up (typically anywhere from 4 to 10 campers) are assigned to all campers to help facilitate deeper discussions after each of the six messages. Children have their own lesson, which is related to the theme in the adult program but on a kid level. Lesson activities include Bible memory verses, crafts, and games. These charts and tables represent registrant data in real time. There are three separate tracks for campers based on age: (1) Adult, (2) Junior High, High School, College, and (3) Children’s. Everyone will meet together for joint worship and then we will break into three separate groups for the messages. Small groups for junior high, high school, college, and adult (typically anywhere from 4 to 10 campers) are assigned to help facilitate deeper discussions after messages. A Small Group Leader (SGL) is assigned to each group. Children have their own lesson activities, which include Bible memory verses, crafts, and games. Ken Jung (PhD, University of Bristol, England) is lead pastor at Pathway Community Church. Having served in multicultural churches for fifteen years (US, overseas), Ken has also been an adjunct teacher in theology, religion and philosophy. One of Ken’s passions in life includes training national pastors and leaders. He also enjoys traveling, eating ethnic foods, and hiking. Although he is a lover of many cultures, Ken’s only a master of only one language (sigh). He is the author of Go Deeper, a book about God’s passionate pursuit for His people. Visit Ken’s blog, Renewing Eli, a site dedicated to his writings on spiritual formation. Ken lives in Fremont, California with his wife (who speaks three languages!) and two children. Brian Barcelona and his wife, Marcela, have fully committed their lives to knowing Jesus and making Him known. They are called to reach lost people with the love of God, and they are willing to do whatever it takes to see revival sweep across the high school campuses of America and the nations. Brian carries a contagious passion in preaching and a gift of incredible faith. He travels nationally, sharing the word of the Lord deposited within him – “God wants to save the high schools of America!” Marcela works alongside Brian in One Voice leadership and on America’s campuses. Together, they have seen God do miraculous things on high school campuses all over the nation. They are believing that America’s campuses will have one of the largest revivals ever seen, with millions of students giving their lives to the Lord. Brian is the founder of One Voice Student Missions. Child Evangelism Fellowship has been used by God for 75 years. CEF is a Bible-centered organization composed of born-again believers whose purpose is to evangelize boys and girls with the Gospel of the Lord Jesus Christ and to establish (disciple) them in the Word of God and in a local church for Christian living. In the last ministry year their workers worldwide reached over 19.9 million children. Families that meet either condition below will receive a flat 25% discount of the total registration fee (only IMMEDIATE family members age 3 and up qualify as a “member” for this discount) Special situations will be considered on a case-by-case basis. Want to calculate your own discount? We’ve created a spreadsheet for you to try out, feel free to edit! Regardless of the date registered, $189 for grades 6 and higher, and $169 for children’s registration. Last day to request a refund is December 4, 2016. You agree to be signed up for our e-mail and text distribution lists. We will not rent or sell your information; we will only use it to communicate important information about Winter Retreat. No spam! (CLOSED) Please contact us if you would still like to register. Decisions will be made on a case-by-case basis. Thank you! 3. Give a check to your local church registrar (payable to your local church) for your registration amount. Done! Your local church registrar has a wealth of information about Winter Retreat. They will collect your registration fee from you. This year we would like to showcase your talent! Submit your photos that represent the theme of “#follow.” Digital altering and post-processing are acceptable. Please send all submissions to efcchurches at gmail. All (well, *most*, anyway) submissions will be shown in a slideshow at Winter Retreat! Workshops are an important part of Winter Retreat. It gives campers the opportunity to choose among different topics that interest them. Topics and sessions are subject to change. That's just the way it is. Raising a family is no small task. Raising a family to follow Jesus can be quite the challenge! This workshop is designed for parents who want to learn how you can help your children mature in their faith beyond high-school into their college and young adult years. We will look at research done by Fuller Youth Institute and discuss how these findings can shape our perspective and approach to raising families for Christ. Following Jesus involves a multitude of large and small decisions. Being a disciple is a lifelong process that works itself out on a daily basis. We will look at biblical principles that can guide and assist us in making decisions along the way that reflect our faith in Christ and our growing desire to be like Him. All throughout the Bible, God sent missionaries to share the Good News of His love and salvation. Today, God wants to use YOU to reach unreached people groups around the world! Come learn six ways you can be active partners with God in His global mission. We will also introduce specific mission trips that your fellowship can actually get involved in, such as Mexico, Philippines, the 10/40 Window, and more! As racial tensions in the U.S. grows, it’s imperative for the Church to boldly step into the narrative. As minorities, many of us have benefited greatly from the Civil Rights movement in the past. As Christians who live for a just and righteous God, we need to recognize our calling to stand for justice. But what should our main message be? And where do we stand on these difficult issues? We’ll explore complex issues surrounding race relations today and how the gospel is foundational to our role as both peacemakers and social justice warriors. Some of us have been Christians for most of our lives, others of us are relatively new to the faith, and some of us are currently unsure of what we believe. Wherever you fall on that spectrum, we all wrestle with deep, personal questions about faith, life and God. This workshop is an open forum for us to dialogue—an opportunity to raise questions that we have about God and the Christian faith and hopefully gain some clarity. As we strive to follow the Lord Jesus, we must walk as He walked. One aspect of the life of Christ that is less commonly explored is His faithful observance of the festivals. Understanding the practice and purpose of these biblical feasts in Jesus’ time will give us valuable insight for living as his disciples today. All times AND events subject to change, so don't even think about holding us accountable to these times. Because that's how we roll. This is just to give you a general idea of the flow of the schedule. The majority of campers will take the bus to campsite. The cost is around $75 per person, which is NOT part of the registration fee, although please check with your church to see if they subsidize part of this fee. The bus schedule will be posted a few days before the retreat. IF YOU ARE DRIVING (not taking bus): please note that snow chains may be REQUIRED during inclement weather (you can buy them at most auto shops). There is a police checkpoint that inspects all cars and will TURN AWAY cars that do not have snow chains. We hope you had a wonderful time at Winter Retreat, and we hope you were blessed in your time there. We would really like to know how to make Winter Retreat better! Please fill out our survey and let us know your thoughts!